Steam Cleaning vs Dry Cleaning, Which one is best? Steam cleaning is best as it extracts the dirt out of the carpet. While dry cleaning is scrubbing the carpet with some chemicals and soft pad scrubber. Places like hospitals, Child care centers,age care, disability centers etc where you got urine, vomit, blood etc on carpet , people prefers steam cleaning as it extracts those unhygienic dirt out from the carpet. while dry cleaning will tries to scrub that dirt to remove the stains and would not help to extract it out of the carpet. I do not have lifts at my apartment, is there any extra charges will applies for upper level units? Yes, small amount of stairs fee will be applied to bring up the heavy equipment’s. What would be the down time for carpet/rug steam cleaning? Can I walk on the carpet/rug after steam cleaning? Yes, you can start using carpet straight away after steam cleaning. It might take around 4 hrs to get the carpet dry. What Conditions applies to the Special Offers?Any extra cost will be applied on top of the special offer prices? All the special offers are based on standard clean and size of room. Heavily stained and soiled carpet, upholstery, tile and grout, removing objects from the ducts etc would cost more on top of the special prices. Do you serve my range? OZ Carpet cleaning solution has prepared and experienced specialists working in every region of Melbourne, our nearby colleague is there for your cleaning services required. My friend lets me know not to have my rug cleaned in light of the fact that when she had them cleaned the rugs got to be filthy rapidly. Yes this can happen when a low quality carpet cleaner pumps your rug with cleanser and does not flush the cleanser out. An expert rug cleaner like us will stay away from this issue by prespraying your floor covering initially, then flushing the prespray out, like a flush cycle on a clothes washer. To what extent does it take to clean my home? This will rely on upon numerous components running from the measure of the house, the quantity of the things to be cleaned to the scope of cleansers requested the stain evacuations. On the other hand, you can believe our professionals to finish the duty as productively and compelling as could be expected under the circumstances. Do you utilize Eco friendly items? Yes we use Australian made and Eco-friendly equipment and product which are highly suitable for home with kids, pets and clean environment. 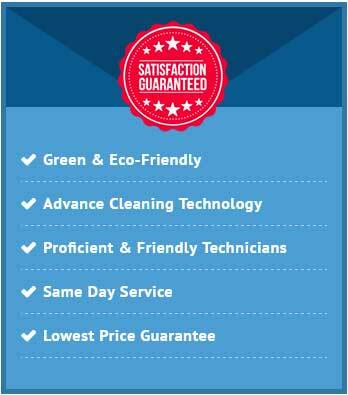 All the technicians at, OZ Carpet Cleaning Melbourne have public liability insurance. So you can have a peace of mind in case of any personal or property damage. We accept payment on completion of Job onsite. We take master Card & Visa card. We do take cash for job onsite. Simply tell us how you might want to pay before start of job and let us organize the rest. Under $100 worth of job, We accept cash direct to the technician on site. What surety does OZ Cleaning Solutions give? Oz Cleaning Solutions promises to evacuate all the stains and dirt unless they are lasting, for all cleaning services. Any cases or Re-Cleans must be acknowledged within 5 days from start up Clean. If client is not satisfied with the cleaning what he/she paid for, We do organize Re-Cleans for the same without any extra charges till our client is 100% satisfied. Clients needs to allow our technician to re clean before they attempt by themselves or hire any other people to do that clean. No refunds will be given, if our technician is not allowed to attend the Re-Clean before anyone else attends it.